Method All Purpose Spray is a powerful surface cleaner which works by absorbing dirt rather than chemically degrading it. 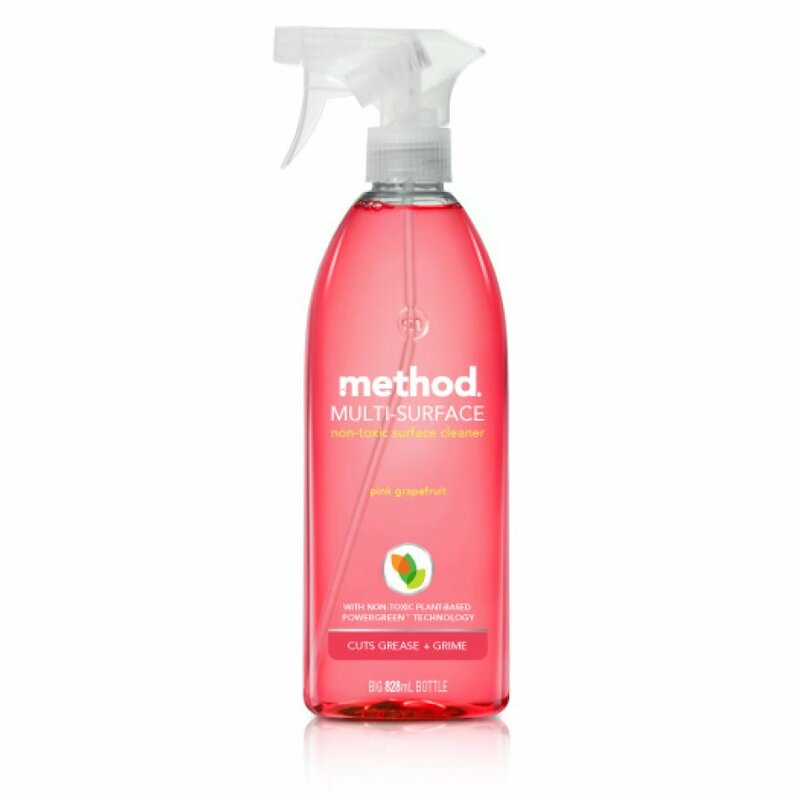 Method All Purpose Spray comes in Pink Grapefruit a delicate fragrance which contains a mixture of synthetic and natural fragrances packaged in a 100% recycled and recyclable plastic bottle. Free from parabens, phthalates, animal by-products or triclosan, and Method do not test on animals either. 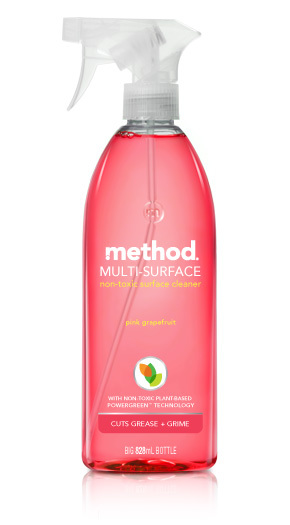 The Method Multi Surface Spray - Pink Grapefruit - 828ml product ethics are indicated below. To learn more about these product ethics and to see related products, follow the links below. Does an okay job but the smell is so over powering and fake smelling, and it lingers for a long time. Would not buy again. I always choose this, affordable and smells nice. Cleans anything even a greasy oven top if left to work for long enough.